Wourms v. Fields, No. 13-1178 (Feb. 5, 2014) (affirming dismissal of case alleging that police officer committed Fourth-Amendment seizure by bumping car, because reasonable jury could not find any collision). Adams v. City of Indianapolis, No. 12-1874 (13-3422) (finding judgment for City was proper in case alleging that City’s police department and fire department used discriminatory promotion processes). Hennepin County v. Federal National Mortgage Association, No. 13-1821 (Feb. 5, 2014) (finding that Fannie Mae, Freddie Mac, and the Federal Housing Finance Agency are exempt from Minnesota’s deed-transfer tax). 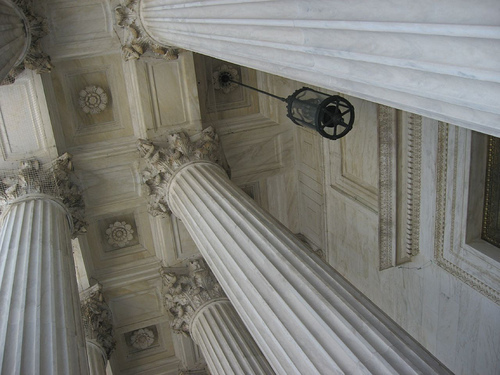 See related, recent decisions from the Seventh Circuit here and from the Fourth Circuit here. C.B. v. City of Sonora, No. 11-17454 (Feb 3. 2014) (granting rehearing en banc in qualified-immunity case we previously covered here). M.G. v. St. Lucie County School Board, No. 13130 (Feb. 4, 2014) (finding that district court did not abuse its discretion in denying motion for leave to amend complaint arising out of alleged sexual assault of student).